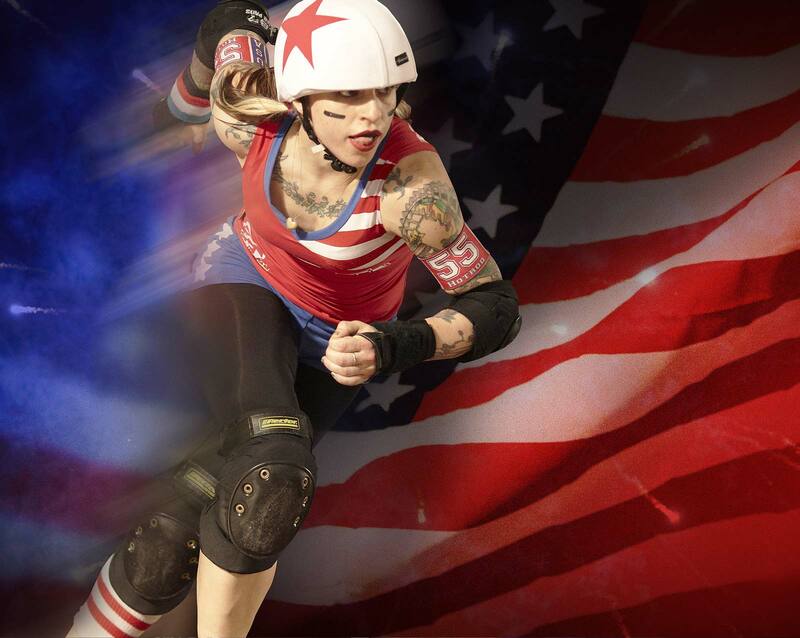 Roller Derby has expanded at a meteoric rate over the past few years. When I first started photographing Roller Derby there was a bout somewhere in the country every few weeks, now, three or four every weekend. It is a testament of not only its rise in popularity, but also the time, dedication and energy expended by individuals and teams all across the country to make things happen. Click on the 'Galleries' link in the navigation bar to see a selection of my favourite photographs I have taken over the past few years. 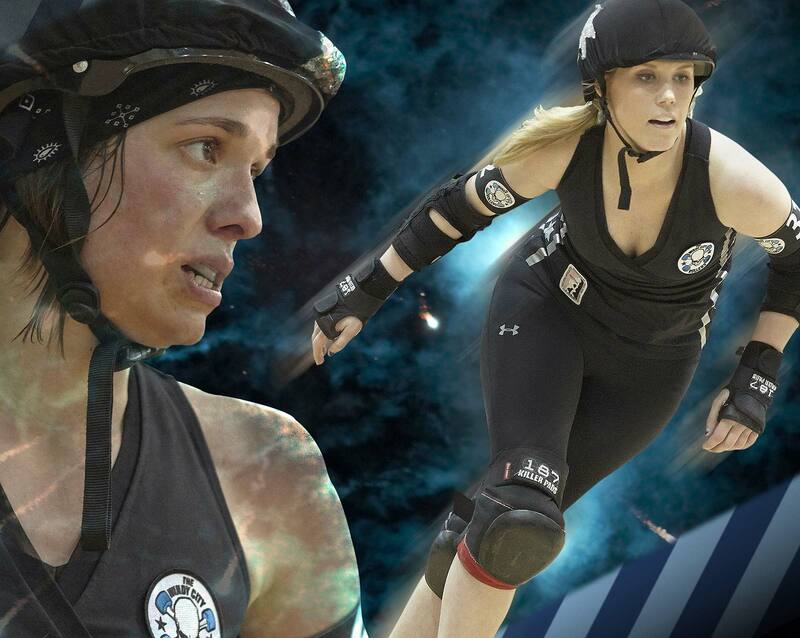 What started out as an all-female sport has developed rapidly, and now encompasses men’s as well as co-ed teams. 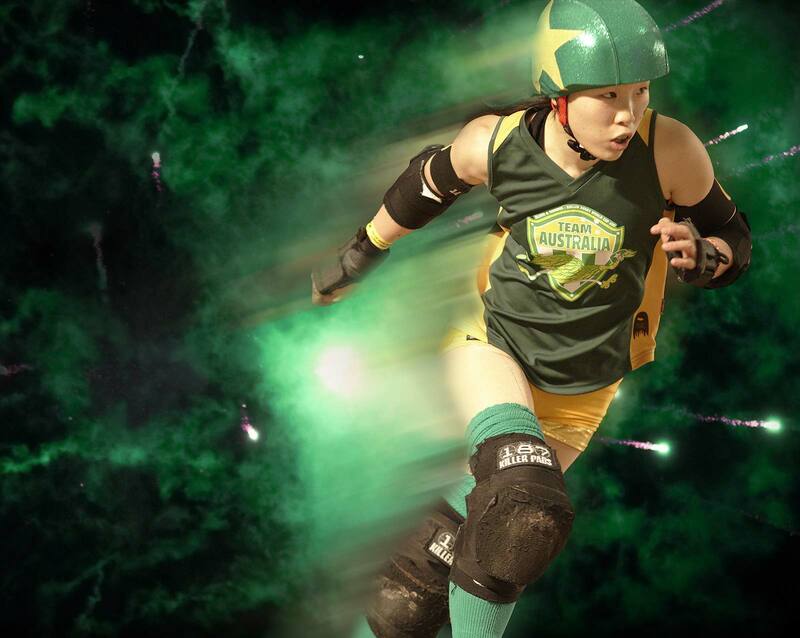 Skaters need a mix of speed, skill, agility, power, awareness and a head for tactics, as the opposition’s play can force a team to go from offence to defensive play and vice-versa in a split second, either on the flat track or banked track incarnations. I have witnessed a rapid increase in the development of skaters as knowledge is passed down to those new to the sport, seeing them progress at a much faster rate than the generation before. All this has help the development and the professionalism of the sport. I have travelled the length and breadth of the country and overseas, photographing bouts organised by established leagues that have experienced skaters at both local and national level, to those leagues that are just starting out. 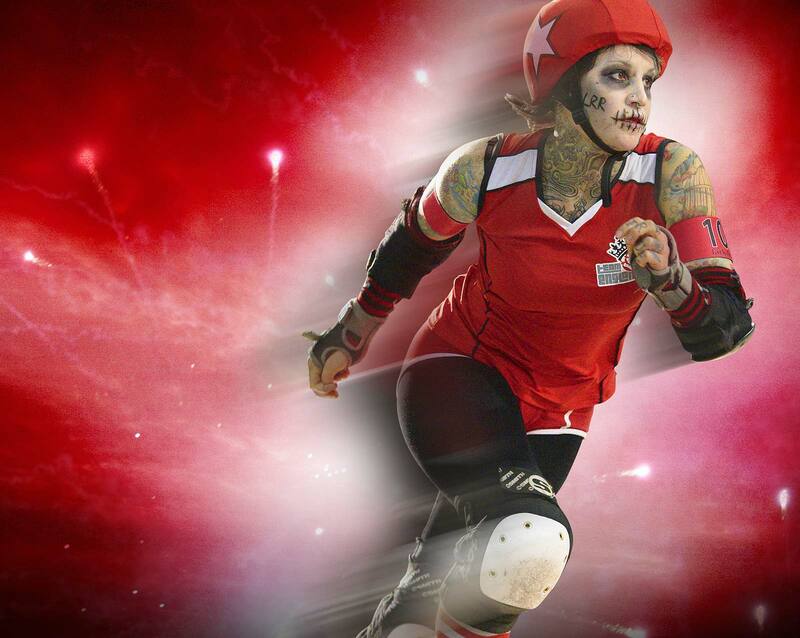 I have covered the Roller Derby World Cup (RDWC) in Manchester (2018) and Texas (2014) for England Roller Derby and the first Roller Derby World Cup in Toronto, Canada, 2011 for Blood and Thunder and also the first Men's Roller Derby World Cup (MRDWC) in Birmingham, England, 2014 for Team England. 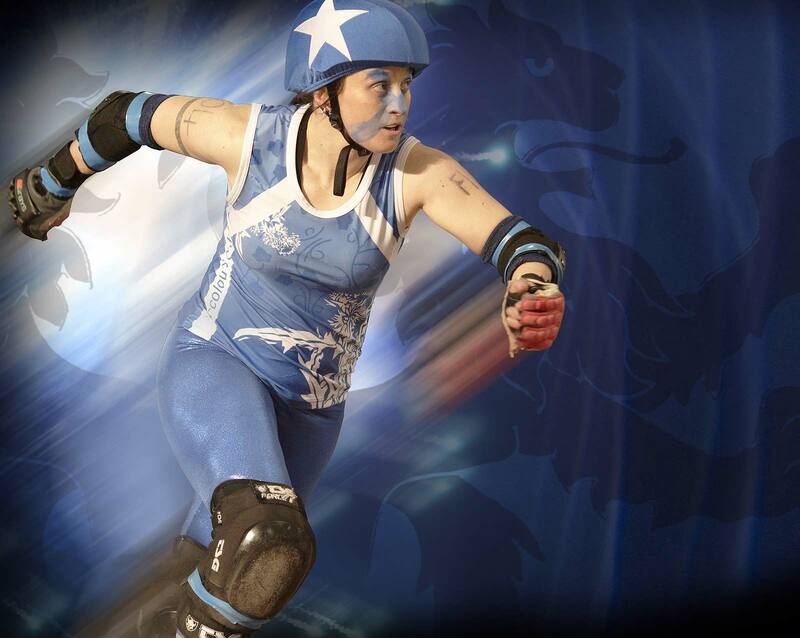 I have also been fortunate to work with Leeds Roller Derby (formerly Leeds Roller Dolls and Hot Wheel Roller Derby), Sheffield Steel Rollergirls, London Rockin’ Rollers, London Rollergirls, Middlesbrough Roller Derby (formerly Middlesbrough Milk Rollers) to name but a few. 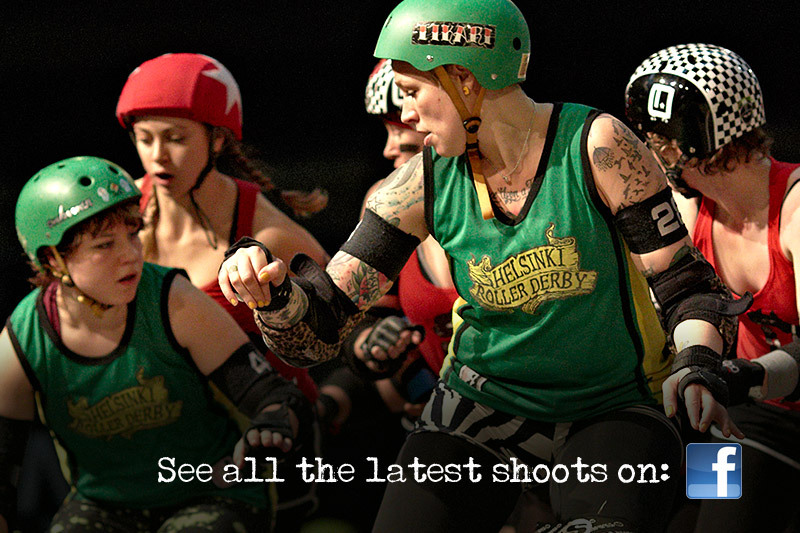 Derby is a difficult sport to photograph and capture on film. I have leant a lot over the past few years, honing my technique and gear so that I can bring the best the flat track has to offer. Hopefully I have contributed a little to the development of the sport. 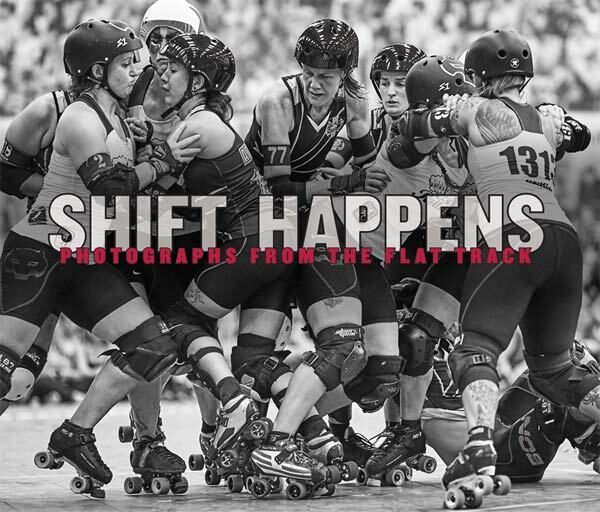 My photographs have been used in the international, national and local press, across many websites, and I have self-published three volumes of photographs covering the sport on the flat track from 2009 to 2015. This website showcases some of the best photographs I've shot over the past few years. 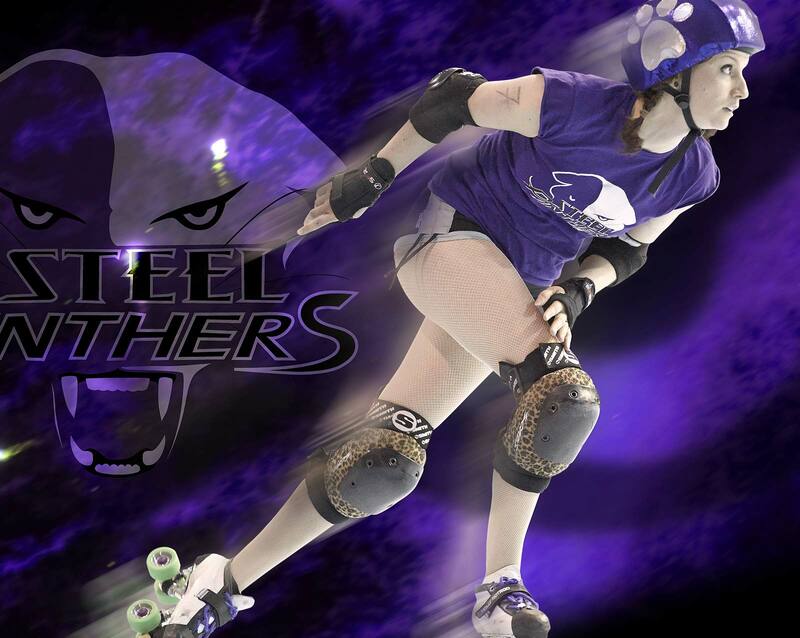 For the latest and full bout shoots see my page on Facebook. In November 2012 I held an exhibition of my favourite photographs at Banks Street Arts, Sheffield. A short film about it can be seen here.